Having worked in the hotel industry for a couple of years in the mid-2000's, I've had my share of corporate suits that went from black, brown, beige, ivory and gray. I was stuck with the stiff power suits that made me look five years older than I really was. In fact, every person I met on the job was surprised to find out I was fresh out of university and starting out on my first job. I made up for it by using colorful accessories and statement necklaces, but I still ended up looking quite "serious" everyday. 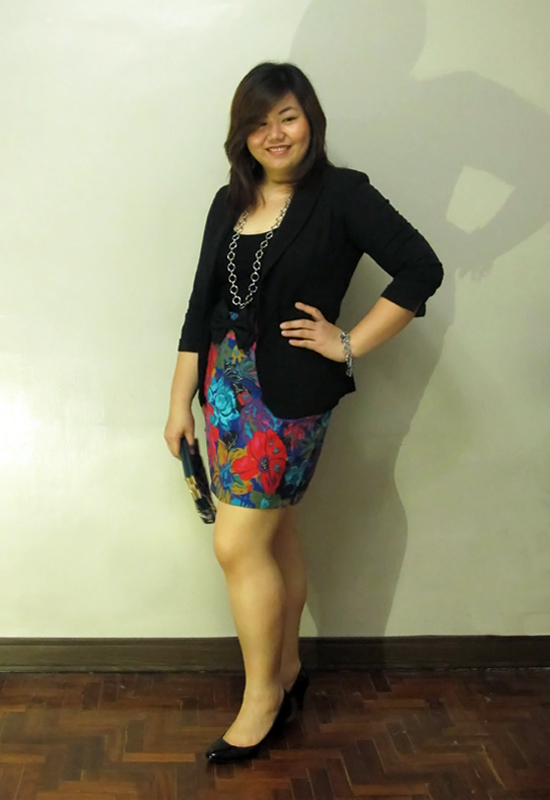 If only I could go back in time and have the mindset I have now, I'd probably rock this brightly printed floral skirt on my first day to keep the my office attire looking young and stylish. Not that I'm sure this would go well with the HR department...(pasaway!) but that's another issue altogether. 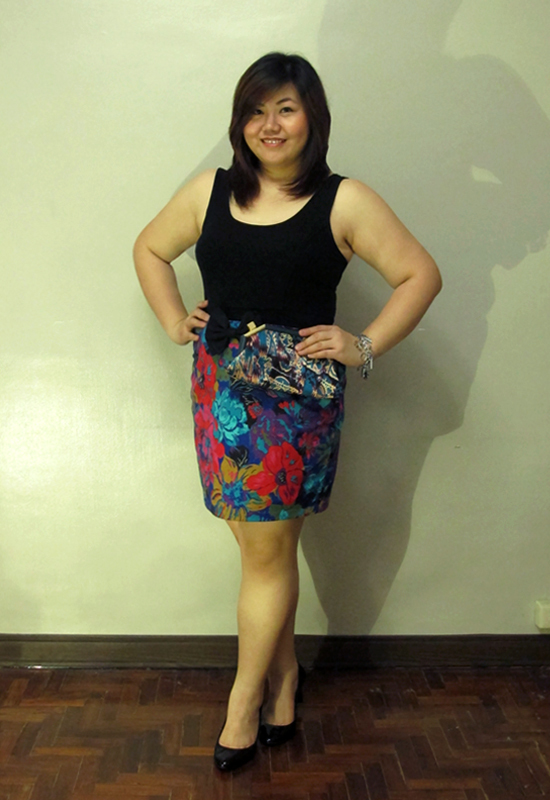 Love your skirt and the bow.. =) you look slimmer on your 1 photo. Gret job! 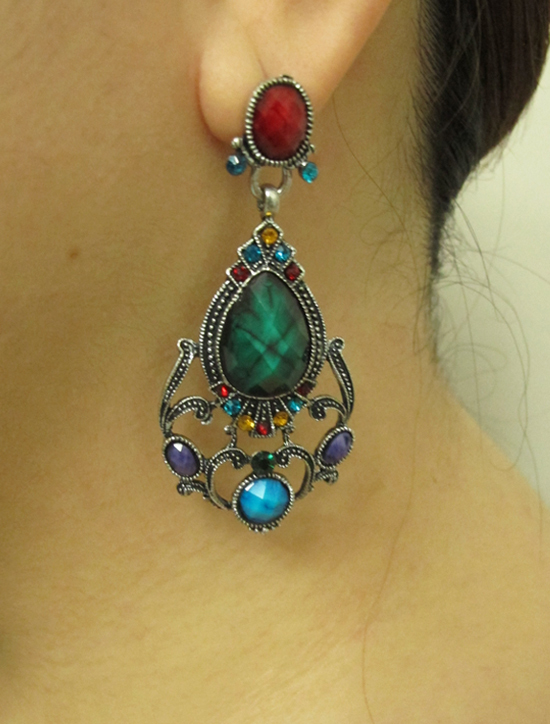 Very chic style! I love both the floral skirt and the dramatic earrings the most. You look great! Abi, you look so hawt! 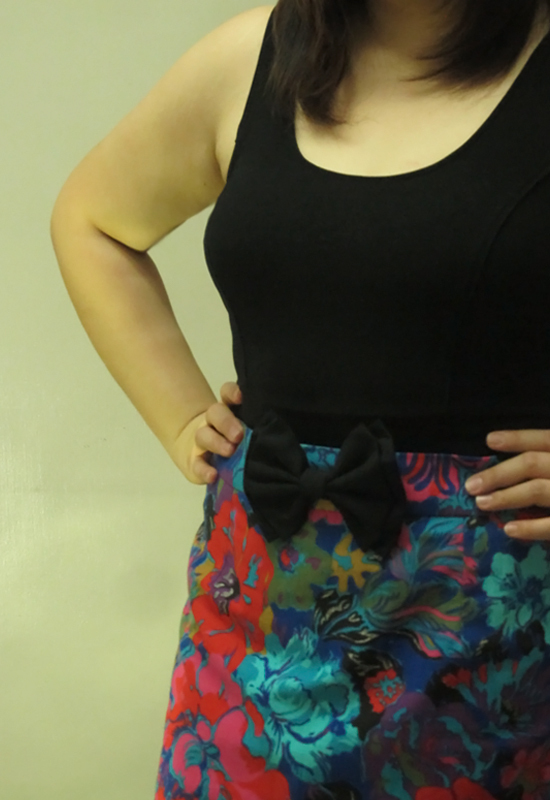 It was genius to have that bow detail added to the skirt, it really does kick it up a notch. Love the idea of popping this outfit up with accessories for a fun night out, so chic and awesome! I wish I could go back in time and just not dress how I did for a while, haha. At least you can enjoy your awesome patterns and colors now, right? 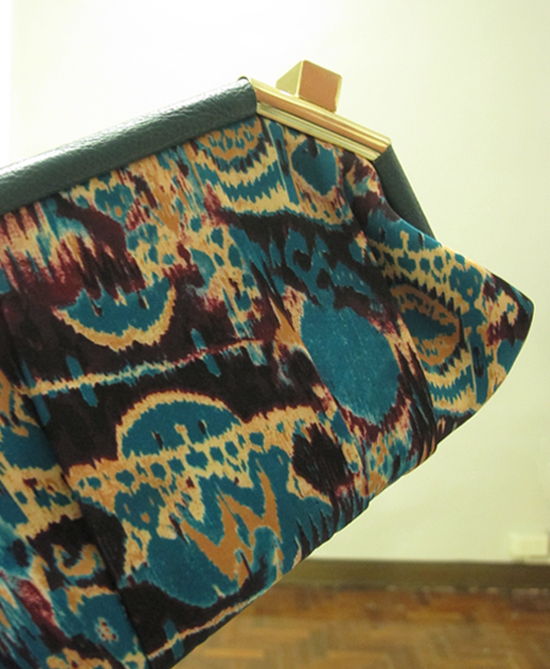 Also, I know that clutch isn't yours necessarily, but it's downright gorgeous. dalang dala mo ung mga ganyang outfiteeey! i envy you! stunning outfit, so feminine but at the same time fun!I also have a whole story to tell about bussiness atire but I'll keep it for some other time. I'm following you, loving your fashion sense! Tell me next time! :D I'd love to read about it!